^ "Birth Registraion Details". Ancestry.co.uk. [2009-08-26]. ^ 2.0 2.1 Anthony, Andrew. "Way out West". Guardian.co.uk. 2008-10-26 [2009-08-26]. 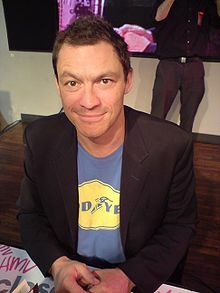 ^ Profile: Dominic West". NYTimes.com. [2009-08-26]. ^ Philby, Charlotte. "My Secret Life: Dominic West, actor, 39". Independent.co.uk. 2009-03-21 [2009-08-26]. ^ Levinson, Paul. "McNulty on his fine Baltimore accent". PaulLevinson.blogspot.com. [2009-08-26]. ^ Rohrer, Finlo; Fraser, Katie. "The good, the bad and the mangled". news.BBC.co.uk. 2009-01-30 [2009-08-26].